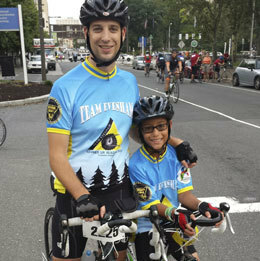 <BR>Humphreys (pictured), just 10 years old, completed a 65-mile bike ride for this year’s American Cancer Society Bike-a-thon with local group Team Evesham. Riding alongside his dad, Dan, he raised $2,710 for the organization’s fight against cancer, a cause near to his heart since his great-grandfather died of lung cancer. Last year, Humphreys rode the 21-mile portion of the ride. <BR>Continuum Health Alliance named Olivia as its president, a new position aimed at growing Continuum’s ambulatory service model. Before gaining the leadership position at the Marlton-based physician practice management company, Olivia was the senior vice president for strategic planning and new venture development at Highmark/West Penn Allegheny and the managing director at Navigant. <BR>Wallace, a former associate justice of the New Jersey Supreme Court, was named the new chairman of the state’s Joint Legislative Committee of Ethical Standards. He succeeds the late Rutgers professor Alan Rosenthal. Wallace previously served as municipal judge, Superior Court judge, and Superior Court judge of the Appellate Division. <BR>After Haddonfield art teacher Hillary Johnston lost her life to cancer in 2011, dozens of students and community members felt her absence. Giannotti, a Haddonfield artist, created a statue in her honor that was unveiled at a dedication ceremony this summer. The statue, called “The Little Artist,” was essentially created for free where the commission would normally cost $25,000. <BR>The judges at iPOP!—an annual scouting event in Los Angeles—were so impressed by De Rosa that she was invited to perform in her first-ever pageant, the National American Miss New Jersey pageant held last month in New Brunswick. De Rosa, now a freshman at Moorestown High School, is well known for her performances with the Moorestown Theater Company. She sings, plays the violin, dances and acts. <BR>Epstein, a Cherry Hill West graduate and Voorhees resident, wanted to implement a radical change in his life. Weighing in at 417 pounds, the former football player shed the pounds for the reality show Extreme Weight Loss. Over the year that he was filmed, he slimmed down to an incredible 196 pounds. Now Epstein strives to combat childhood obesity and encourages others, regardless of their age, to make positive changes in their lives. <BR>Herbert D. Hinkle was honored by Rutgers School of Law – Camden for his lifetime of work and leadership. The most noted of Hinkle’s accomplishments were his work with the Pro Bono Program, Planning Estates Project, his time as director of the New Jersey Division of Advocacy for the Developmentally Disabled, and his interest in civic literacy for Camden youth. He graduated from Rutgers School of Law and became a founding member of Hinkle, Fingles & Prior, where he represents people with disabilities and the elderly. <BR>The Medford United Methodist Church Canoe Carnival Team recently won first place in the annual canoe carnival parade, the 18th year the church participated in the event. Their winning float design was a tribute to Dumbo, though their other floats received recognition, as well. Their youth float, inspired by Candy Land, won the grand prize for the junior level, while they also received an honorable mention in the single float competition. <BR>When the kids of the Maranatha Christian Fellowship Vacation Bible School were shown a video about the children of Haiti, they were inspired to create a fundraiser to help families in need. The children, who range from preschool through 6th grade, brought donations in every day for a week. By the end of the week, they had raised a total of $1,136.94, with the preschoolers bringing in the most donations at $357. The money was donated to the HopeAlive! Clinic in Medford, which has been aiding Haiti since 1998. <BR>Cherry Hill West students teamed up this summer to help local families in need by growing vegetables and herbs in a 10-by-20-foot plot at the school and donating everything to the Cherry Hill Food Pantry. The students not only learned how to grow their own food under the guidance of master gardeners, but also learned the importance of helping local families who are struggling to pay for healthy foods. <BR>Like many teens, Davis, of Marlton, and Jeffreys, of Cherry Hill, worked as camp counselors this summer. But while some worked locally, these 19-year-olds flew to Israel to serve Camp Kefiada through a program sponsored by the Jewish Federation’s Department of Education. At the camp, located in Arad, they taught elementary school students English, among other subjects. In addition, they worked to bridge the barriers that exist between Jews in the Delaware Valley region and Jews in the region surrounding Arad. <BR>The New Jersey Library Association honored Allen and Kelleher for contributions to the Mount Laurel Library. Allen, the store manager at Mount Laurel’s Wegman’s, received a Library Champion Award for underwriting the library’s Second Sunday Concert Series for the past three years. As president of Friends of the Mount Laurel Library for the past 10 years, Kelleher helped the group grow into an organization raising more than $50,000 to fund items for the library. Published (and copyrighted) in <B>Suburban Family Magazine</B>, Volume 4, Issue 7 (September, 2013). <BR>For more info on Suburban Family Magazine, click <A HREF=http://www.southjersey.com/?fa=contact&type=shg Target=main>here</A>. <BR>For information about advertising in Suburban Family Magazine, click <A HREF=http://www.southjersey.com/?fa=advertising_rates Target=main>here</A>. 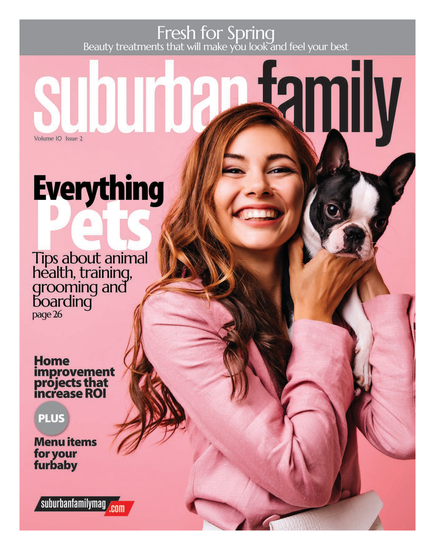 <BR>To find out where to pick up your copy of Suburban Family Magazine, click <A HREF=http://www.southjersey.com/?fa=distribution Target=main>here</A>.